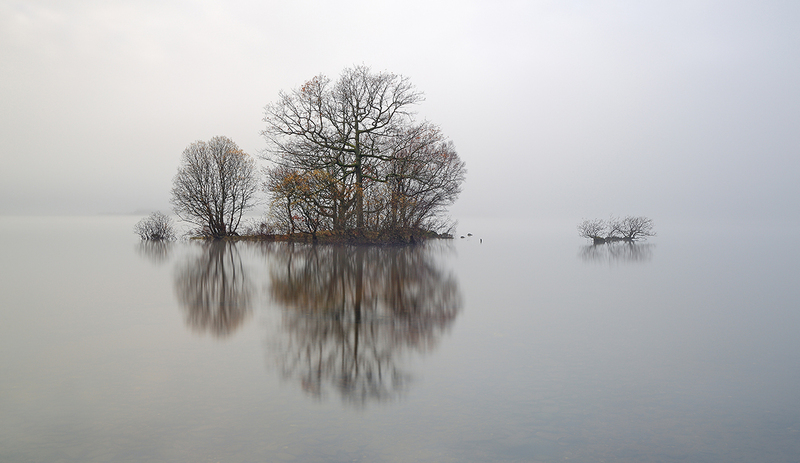 Another morning shot to catch the remaining mist which was lingering on the east shore of Loch Lomond. As you can see in the image below, the little clump of trees were shedding the last of their autumn colours and the mist surrounding them helped the trees really stand out in this minimulistic shot. The 25 second exposure I used also helped to smooth out any ripples and movement in the water, and just in time too, as the mist soon lifted revealing the landscape behind the trees which of course transformed the scene from this lovely, simple and uncluttered view into the complete opposite. Three other shots from the Loch Lomond mist morning shoot are also shown below as thumbnails. If you would like to purchase any of these images as a high resolution and quality print or canvas, then please click on a image for available print options.